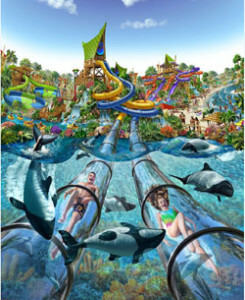 Summer vacation is near, and many families celebrate the summer months by visiting amusement parks such as Bush Gardens and Disney World Theme Parks for their Florida Vacation. Amusement parks are very enjoyable for the whole family however, theme park accidents can be very severe and injuries sustained can require extensive medical treatment. Although theme park accidents can be devastating, many of these accidents can be prevented. Practicing safety and taking precaution is crucial to ensuring the safety of yourself and your family. Follow these tips to make sure that you and your loved ones have fun, and stay safe on your next theme park adventure. Stay cool – Sunburn and heat exhaustion are very common among theme park visitors. Be sure to bring sunscreen and wear protective clothing. Have plenty of water on hand in order to stay hydrated. Follow the rules – Park guidelines are there to ensure the safety of visitors. Make sure to read boarding restrictions before you get on a ride. Some rides are not recommended for visitors with certain health concerns, and it is also very important to adhere to height restrictions. If you are unsure about a ride, always consult a staff member if you have any questions or concerns. Know your limits – Do not let anyone pressure you into getting on a ride you don’t want to. A theme park visit is supposed to be an exciting experience, not a devastating one. If you are deathly afraid of rollercoasters, avoid them. You don’t want to risk getting sick or having any medical issues. There are plenty of theme parks that offer various rides that everyone can enjoy. Watch your children – Most theme parks are very large, and with the massive crowds most parks attract, children can easily get lost. Be aware of your children at all times and never leave small children alone. Be sure to supervise your children on rides, and make sure that they are strapped in safely. Some accidents cannot be anticipated; in the event you or a loved one is injured in an accident, immediately seek medical attention and contact a personal injury lawyer. A personal injury attorney can make sure that you get the proper medical treatment that is needed for your injuries, as well as make sure that your medical bills are paid. Call Blick Law Firm today for a free 15 minute consultation with attorney Michael C. Blickensderfer. Think quick, call Blick 888-973-2776!